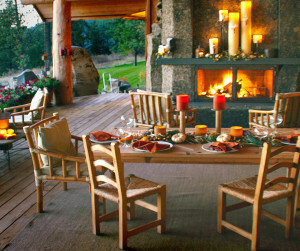 If you're fortunate enough to be in a position to design your own home, you typically will get only one shot at it. So it pays to choose your architect wisely. Especially true if, like my family, you've decided to build an extremely high performance passive house. 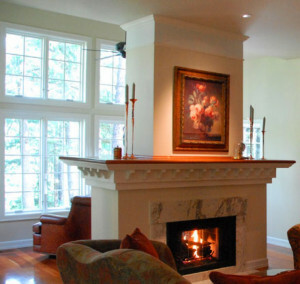 The design methodology is so exacting that you must choose your architect carefully. Sam and his team have the experience, expertise, and tools to get it right the first time. We're among the fortunate few who got that one shot, but if we ever needed to design another high performance building, there'd only be one call, to Sam Rodell. Sam and his team were very easy to work with. Communication was great (we did all of the design work from 1500 miles away via video conference). We enjoyed periodic interaction and full consideration of every detail we wanted in our new house. And the service didn't stop once the blueprints were dry. Sam and his team were on the project site frequently during construction and for some time after the house was complete. They'd test and re-test and make sure the home designed was the home delivered, and that the measured performance met or exceeded the design criteria. It did, and we couldn't be happier in our new home. While our neighbors struggle with the seasonal chore of cutting, hauling, and burning firewood, bundled in sweaters with their thermostats cranked way down in winter, we're enjoying year round shirtsleeve comfort at 72 degrees. And for much of the winter, we don't even need to turn on our heat pump! It feels like we're cheating mother nature. But it's not cheating; it's science. Homes of the future will certainly be built to this standard. Why wait? You can have it now. Call Sam Rodell and get it started; you'll be glad you did. I never thought designing a home would be fun but with Sam it was. It was as though Sam took our needs and dreams for our home and helped us expand our vision to levels beyond our expectations.The result was a beautiful home that is fun to live in and a delight for friends to visit. The trendsetting and innovative architectural capabilities of Sam Rodell and his team set them apart as leaders in the industry. 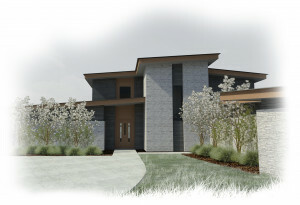 From the start, it was evident we both shared a common desire to build a high-performance home for our client. In the end, that mutual collaboration ensured a successful outcome. We look forward to future opportunities to work together. As a Landscape Architect my work allows me to meet and design with an many talented architects but certainly right up there at the top has to be Sam Rodell. He is creative, thoughtful, humble and works extremely well with others to constantly create and develop amazing projects. Sam is a total thumbs up in my world and I wouldn't hesitate to recommend him! We are in the middle of a big project with Sam and I couldn't be more pleased. His attention to detail is amazing and is so responsive when I have a question. He is also a great listener. He is actively involved in all aspects of the project. He even went shopping with me for the plumbing fixtures and kitchen appliances! I highly recommend Sam Rodell and his amazing team. I have been meaning to write to say how totally happy we are with our new house. It is everything we wanted it to be and more. The placement on the property is perfect. The design is really over the top. Everyone who sees it compliments the workmanship and architectural design. Thank you so much! Time after time people come into our studio and ask who did the architecture and interior design as they feel this studio is one of the nicest in the Northwest. We love our building. 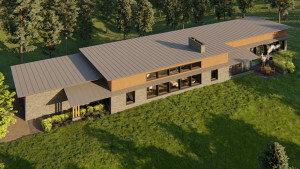 Sam Rodell has provided design, drawings, details, and complete energy calculations for a new passivhaus residence for our clients in Issaquah, WA. He is an expert in energy efficient and high performance construction techniques. His drawings and details are clear and logical. Even though this is a relatively complex construction technique, he passed the County's plan review process without a single correction. I would highly recommend Sam to anyone looking to build a high performance or Passive House building. Sam is extremely easy to work with. In addition to his being an excellent listener, we totally appreciate his designing our home to passivhaus standards (very energy-efficient), as well as his creative engagement and personalized approach. He is remarkably reliable, chatting with us weekly and sending his meeting notes immediately thereafter. He knows all aspects of creating a home from scratch, even given the constraints of our property. Sam is truly a master of his art. Working with Sam has been an excellent experience. Sam is passionate about getting every detail just right, for the client and the specific project. Sam's experienced team continuously researches the latest building products and deploys only what has been tested and proven to be the highest of quality. With careful listening and planning, Sam consistently creates the homes that his clients envision, manifest, and then fall in love with. We have been working with Sam and his team for the past 3 years on a house remodel. They have been a delight to work with from beginning to end. Right from the start, Sam came out and looked at the house and it was really fascinating to watch him study the house. You could tell he was paying close attention to detail and thoroughly enjoys his work. We then had Nathan, their project manager, out to perform measurements. Very professional and always fun to discuss the before of a project. Especially, the oddities that were included in the original building of the house. Things like, placement of walls, code violations, etc. The final reveal came with Sam, Nathan and Wendy (interior design). It was amazing to see the transformation of a old, tired looking house into a work of art. The team is very open and accommodating. They work with you, not against you. They are also prompt. I would not hesitate for a second to recommend Sam Rodell and his team for any project. From start to finish, they have made the project fun and enjoyable. 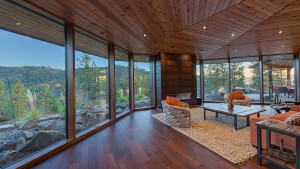 Sam Rodell and his team designed an extensive home remodel and addition with us. We took a pre-fabricated, 1960's rancher and Sam helped us turn it into a unique, mid-century modern home in honor of my dad, who passed away. Sam listened when we asked that our home be designed to be far more energy-efficient and he paid attention to our desire to use quality, natural and non-toxic materials. 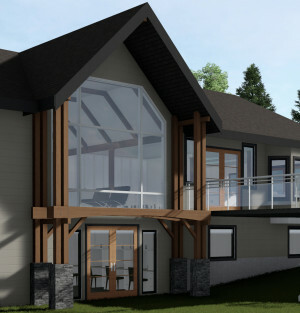 During the construction phase, Sam worked closely with us and our builder to bring his design vision to life. Sam's team also helped us to select appliances, furniture and blinds. We have moved back into our home and could not be happier with how it all turned out. Sam's integrity and concern for the planet are manifest in every one of his projects. Add to that a wonderfully artistic design sense, technical proficiency and versatility. He designs for the client and for the site. We really enjoyed working with Sam Rodell and his team. They really listed to our vision and created a space that we love and can be proud of. We would recommend Sam to anyone looking for thoughtful and competent design. Sam Rodell's work is thorough and thoughtful. He curates his clients' experience so as to make the process as easy as possible for them. His commitment to energy efficient design is genuine, and he finds ways to build with high performance without sacrificing aesthetics. 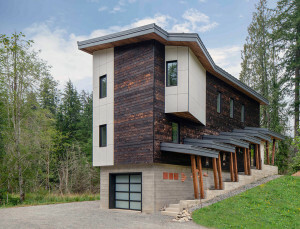 Passive House design uses the most effective and affordable energy technologies in the world. 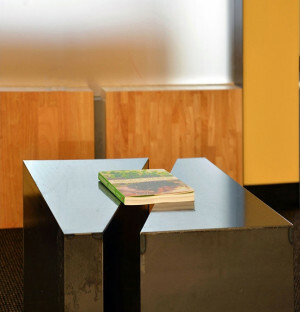 Our energy costs will remain extremely low as we enjoy improved comfort all year, we will always breathe pristine quality interior air in an acoustical sanctuary, and we will dramatically reduce our carbon footprint. From concept to completion, Sam and his team have been invaluable, there for us every step of the way. We selected you for two reasons: Your high degree of sensitivity to the unique characteristics of our site, and your very thorough design process that would explore our complex needs and provide a design meaningfully responsive to them. The design you provided for the Fernan project exceeded our expectations in both of these regards. 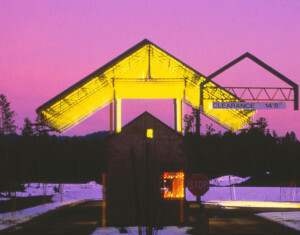 The Fernan Ranger Station is an important facility for us, and your design incorporates a number of features that we frankly did not think could all be included. We are hearing feedback internally that this project is the best office building the Forest Service has anywhere in the nation. 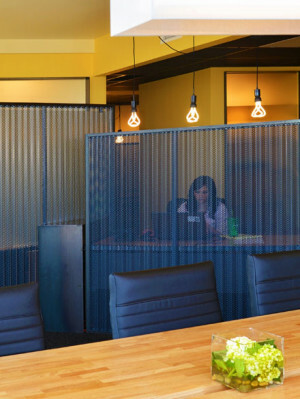 Sam has always been appreciative of the consulting work we did with his firm, and I truly believe that he thanked us with the space that we now get to use as a canvas for our professional lives. Under pressure of tight timelines - and tighter budgets - Sam produced a gem of a space for our team. When the right thing didn't exist he designed and built furniture just for us. I cannot imagine a more competent, caring, and creative person to have on your side. Sam gifted us with the space that we now get to use as a canvas for our professional lives. I feel like we get to work inside of a love letter. 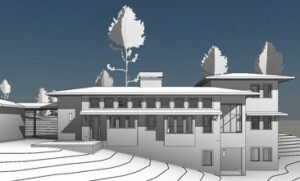 Sam Rodell and his fine team of Associates helped us realize a long envisioned project - an aging in place, Passive House. Our site is challenging, yet, Sam wasn't daunted. He encouraged us with his technical skill, communicative style, and creative thinking. He has been respectful of budgetary constraints and nuanced notions we have about our style of life. He wants this project to work for us and he and his exceptional team collaborated to create confidence in the outcome we envisioned. Sam brings informed inspiration, state of the art technology, teamwork, artful architectural awareness, and sound building practices to our planning process. We were in good hands. Time and time again I was amazed with Sam's genuine passion and engagement in the process of design. He listened and listened. He became our teacher, helping us to see things from every angle and in ways we never imagined possible. He had amazing intuition and was so patient with us as we found our way through research, site analysis and design. No detail was overlooked. 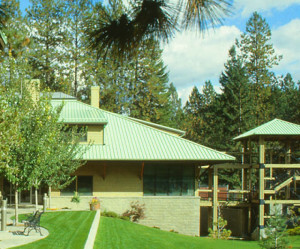 Sam Rodell is an expert in energy efficient and high performance construction techniques. 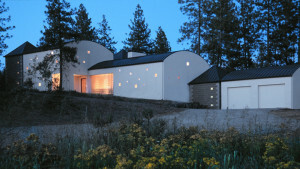 His design for this house is in the Passive House category of high performance buildings. His drawings and details are clear and logical. 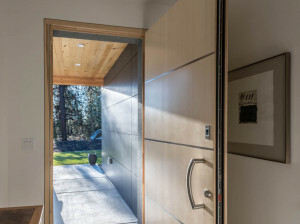 Even though passive house is a relatively new & complex construction technique, he passed the County's plan review process without a single correction. I would highly recommend Sam to anyone looking to build a high performance or Passive House building. I must be honest, it's hard to reduce my joy and trust in working with Sam Rodell to mere words. He is the ultimate professional. 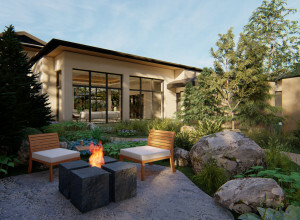 Sam uses his substantial creative skills to design visually exciting, technologically superior architecture that harmonizes beautifully with the natural environment. 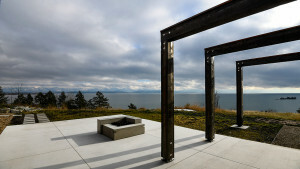 He is sensitive to the client, has a commitment to sustainability, and brings enormous creative wisdom to the process. If brilliance resonates with you, Sam Rodell is your match. 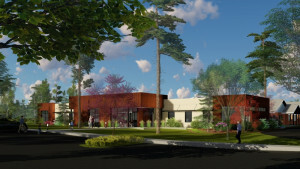 I did a commercial project with Sam Rodell Architects last year, and the utility bills for the new building are 90% less than the utility bills for the old building of similar size and standard construction. I was amazed. My mechanical system was 1/3 the size of a typical building, and it could have been smaller but I was nervous to take it too small. 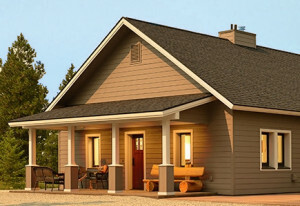 Passive design is fairly similar to typical design but with tighter construction. Construction costs are similar and the mechanical systems are much smaller and less expensive. It's an energy efficient approach that really works. It is not very often that you come across an individual so dedicated and knowledgeable about his trade. Sam is extremely passionate about the design process. His ethics and commitment to fundamental principles are something others should model. Sam began with so much research about who we are, how we differ from one other, what our core values are, our likes and dislikes - that was an intensive study. Sam nestled our house in among the land and the trees so we have close view of trees and grasses, mid range of the water edge and distant views of the hills across the lake. The house feels like part of the land and the weather. It seems like it belongs there, like it grew from there. That was key for us. This place holds a kind of beauty that seeps into us, even on busy or hectic days. It softens us. We become more receptive. Mr. Rodell understood and responded to our very strict cost constraints. During the design process, he was able to assimilate increased demands for cost containment due to statutory changes further limiting the construction budget. 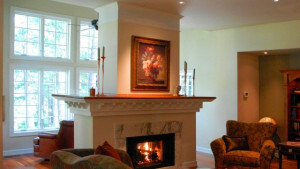 It is his ability to combine creative strength with practical insight which warrants my highest recommendation for Mr. Rodell's architectural services. 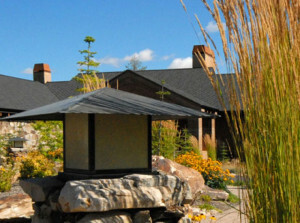 Mr. Rodell provided architectural and construction management services for several small and large projects that I did, ranging from 100,000+ SF retirement communities to work on my personal home. Sam is creative, organized, knowledgeable and trustworthy. I highly recommend him for commercial and residential work. 30 years working with this architecture group have been a pleasure. The ever evolving design of buildings, including health care facilities has been very eye opening. The thought that an architect could exude so much passion for thoughtful design as well as energy efficiency is appreciated. Thank you Sam and your team for your assistance in helping us provide the care and services to people in our community by designing functional, energy efficient buildings. Sam is at the "top of the heap". Sam's guidance was invaluable to look beneath the surface and really evaluate what would work (or even more valuable, would not work). This is a person who hears between all of the lines and can help with the questions that we don't even know we have. He is interested and respectful of our limitations and quirks - and it is this that will make the building process and ultimately our home a personal creation rather than just a lovely space to inhabit. I have worked with excellent residential and commercial architects, but Sam's skill and passion clearly set him apart. 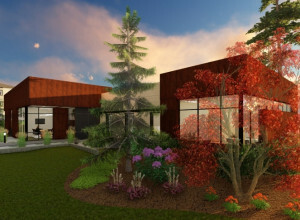 Sam's advocacy for the Passive House concept has brought the technology to the attention of the Inland Northwest community and highlighted its financial, environmental, and functional benefits. He did this while very few other architects in the region even knew the technology existed. He is a true professional and takes pride in what he does. Every aspect of his projects have been carefully calculated and are based on his thoughtful, site-inspired design. I would highly recommend Sam to anyone looking for a true expert who puts the needs of the client first. Throughout the unfolding of the design, Sam has been a careful listener who responded to all we said and remained flexible to allow needed changes which helped us to meet our budget. Sam has exhibited the highest of professional standards in this extraordinarily enjoyable and informative process. This past year has been so much fun that the time spent in the development of the project will be missed. 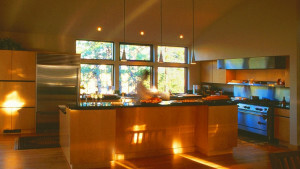 I heartily recommend Sam Rodell and his team for any residential or commercial design venture. 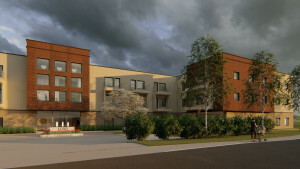 Sam Rodell and his fine team of associates designed our retirement home, an aging in place, Passive House. Our site is challenging, yet, Sam wasn't daunted. He encouraged us with his technical skill, communicative style, creative thinking. He has been respectful of budgetary constraints and nuanced notions we have about our style of life. Sam brings informed inspiration, state of the art technology, teamwork, artful architectural awareness, and sound building practices to his process. We are in good hands. Sam is the best. He has a brilliant mind with unmatched talent, and also has a big heart and social conscience - he's a rare breed. Whether you are in the market for a residential or commercial architect, Sam and his team will far surpass your expectations. Sam was the only architect I interviewed who thoroughly, respectfully, and patiently went through the process and options with me. I am very pleased with the high efficiency design and optimal usage of the land and natural resources. I am grateful to Sam for helping me through a daunting process. He truly deserves the professional recognition he has earned. Perhaps Sam's most outstanding characteristic is his incredible ability to truly listen. He demonstrated an uncanny ability to translate thoughts and dreams into realities that surpassed our expectations. 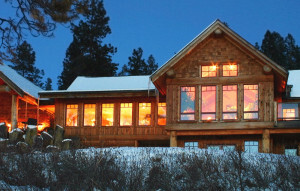 We now have a truly unique home - so warm and livable yet often described by others as a work of art. 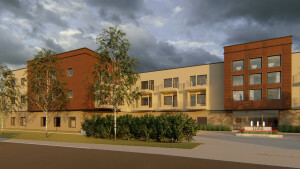 We have enjoyed a highly professional and thoroughly competent response to our project needs working with Sam Rodell. We are pleased to hear our most recent project was awarded top honors by the Idaho Chapter of the American Institute of Architects. Sam's firm provides a detailed project analysis and critical path schedule, and follows up with high quality construction documents. Projects have been administered well and carefully coordinated with other disciplines. Communication has been excellent at all times, and overall, Kootenai County has been very pleased with the performance. Sam is an exceptional architect, one who's work will stand out far into the future. 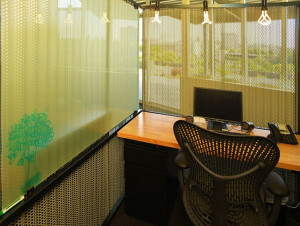 He designed an office space for my company that was conceptually rich, but comfortable and inviting. His team custom-built furniture that plays well with the light in the space, as he always does. The project was on time and budget. 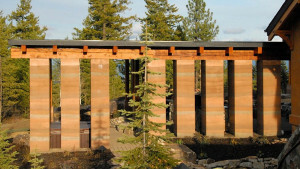 Sam has brought rammed earth construction to the Northwest and Passivhaus architecture to the US, and fits them together with the land they sit upon thoughtfully and sustainably. Sit with him and you'll find yourself in the presence of technical mastery, sublime aesthetic, and more humanity than most. I think Sam will stand among the architects who history remembers most fondly. We were later interviewed by an author working on a book about architect/client relationships. She was astounded that we enjoyed our project so much and would do it again for the sheer pleasure of it. Sam's design process is not typical. It is, however, far more effective at producing results that truly match the client's needs and wants. I have received incredible value from Sam on every project. He is diligent, thorough, professional, endlessly creative, and as responsive to client needs as any professional I have ever worked with - not to mention just plain fun. I can't say enough about the positive experience of working with Sam Rodell and his team. He is very thoughtful and knowledgeable with his design and never comprising the long-term goal of high performance building. Sam is an innovator and is much appreciated in this industry. "If he builds it... you will be astounded. 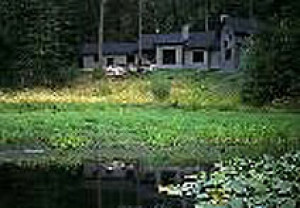 Whether you're building a home, office or private retreat, Sam Rodell will take your vision, needs and unique reflection and transform them into a space that nurtures your family, secures your dreams, and makes work a natural, comfortable experience." The thing I remember the most about the design experience was how amorphous, vaguely sketched ideas on our part would be rendered into several potential and elegant solutions by Sam. In the end when I look at our home I can't tell what idea came from me or my wife or from Sam. It doesn't matter of course, we just love the results. As we moved through the design process I was constantly surprised and thankful for Sam's consistent, patient, and insightful support through the myriad of decisions that lie between the blank page and a completed design. Sam Rodell's attention to meaningful subtle details raises the value of projects exponentially. Sam transforms good design into and exceptional and memorable personal experiences. I have been involved in residential, commercial, and industrial construction as a general contractor and developer for fifteen years. 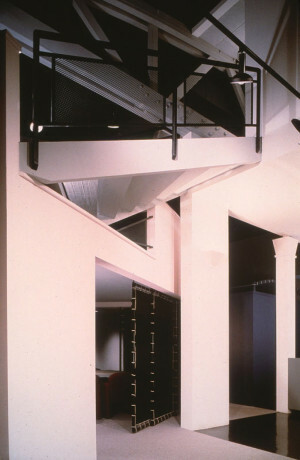 During this time I have worked with numerous architects; never have I worked with an architect like Sam Rodell. Sam and his team are the best architects I have ever worked with. Their concern for my projects and attention to detail continue to amaze me. The effort invested on my projects is way above and beyond any standard I am familiar with. Simple, clean, direct, affordable - in the tradition of good Scandinavian design. "Clients assert Rodell can virtually read and then transcribe their lofty imaginations into reality." Sam Rodell is the consummate professional. His sense of design is one of his great strengths and he is able to communicate this to the client in a thoughtful manner. Because he is a contractor, even though he doesn't practice, it shows up in his work and hence the end product is superior. I particularly like his cutting edge understanding of new technologies in the building industry, specifically as it relates to energy efficiency. Sam's proficient use of powerful computer design tools makes the process and time-frame for creating the end product that much more efficient. The professionalism, timeliness and concern for detail shown by Sam Rodell and his staff is of the highest level and is greatly appreciated by us, both as owners and as contractors. Sam is reflective, thorough, intense, perfection-seeking, academic, artistic and available. His systematic approach is devoted to achieving the greatest potential for his client, integrating deep study and a multitude of broad skills. He is serious, but appreciates a good laugh and a healthy working relationship. I have total trust in him as a professional. Imagination, meet Sam Rodell. His mantra: Yes, I can do that, and what else would you like? Sam simply emanates artistry and expertise. I had no idea what to expect, but somehow I knew he was the one to bring my vision into life. I wanted to follow his lead. If brilliance resonates with you, Sam Rodell is your match. 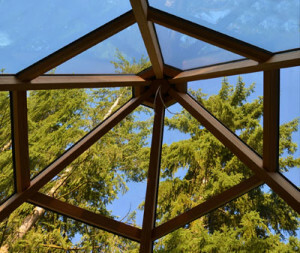 He uses substantial creative skills to design visually refined, technologically superior architecture that harmonizes beautifully with the natural environment. He is sensitive to the client, committed to sustainability, and brings enormous creative wisdom to his process. He immerses himself in the challenge with a deep understanding of architectural history, commitment to function, and appreciation of beauty. These elements reveal themselves in every facet of his work. "...Sam Rodell's work reflects a creative marriage between his client's desires and the environment at hand. He possesses numerous degrees in architecture, and is well regarded for project management skills and integrity." Our home surpassed every dream and every time I walk in, I appreciate how beautiful it is. We cannot thank Sam enough! 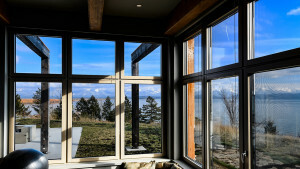 Passive House is the most stringent building energy standard in the world. We know our energy costs will remain extremely low, we will enjoy consistent comfort all year, we will always breathe pristine quality interior air, and we are dramatically reducing our carbon footprint. From concept to completion, Sam and his team have been invaluable, there for us every step of the way. 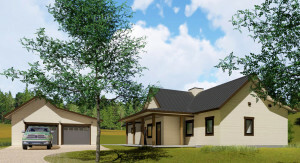 Sam Rodell designed our new 'passive house' home. In the beginning of the process, Sam presented a varieties of styles and options, and together with his team of experts we have refined our choices down to the smallest detail. 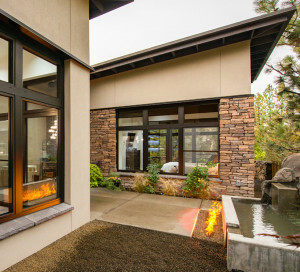 Our home reflects all of our unique needs in a design that is energy efficient, wise in its use of space, and beautiful to look at and live in. They include a musical performance space that features room for a small audience that is separated from the bedroom area, all fitting into a modest footprint. 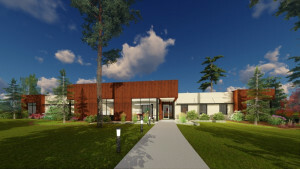 When we added a Mental Health Care Facility to our campus, Sam suggested passive house design to save 80% on heating and cooling costs. We have a much quieter building as well, with purified air that eases respiratory problems. And Sam's design team made it all both pleasant for residents and operationally functional for staff. We've worked with Sam for years, so we knew it would turn out well, and it certainly has! Sam and his firm designed and built a house for me. It was one of the best experiences of my life. He listened to what we wanted and needed, and did a thorough job of educating us as to the process and the options. His design won several awards, but to us the fact that the house fit like a glove and delighted us every day was far more important. I've rarely met anyone more professional or more truly interested in his clients. Sam and his firm go far more than the extra mile to give clients an extraordinary home. Sam is the gold standard for creativity, design, and professionalism. Sam is extremely knowledgeable, reliable, and professional. I like that I can contact him directly anytime I need to. He is very responsive to my needs and questions. He was very patient with us as we worked through design and construction. He has a great working relationship with our builder. I highly recommend Sam as an outstanding architect. My husband and I have really enjoyed working with Sam Rodell. He brings not only his expertise and talent as an architect, but an ability to listen and interpret your vision to reality. Having both a peer professional relationship with Sam, in addition to a working relationship building custom homes together, I can attest to his qualifications. We are not blessed with many Architects that can support residential work in our market. Sam is one who managed to continue the tradition as a true design professional and hold to the highest standards in the process. We at "Doric, Inc." look forward to a continued relationship with Sam Rodell. 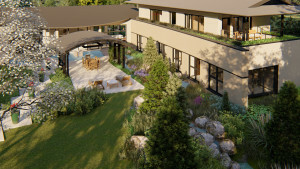 Sam Rodell’s extensive architectural experience is highlighted by a meaningful understanding of the importance of sustainable building technologies. 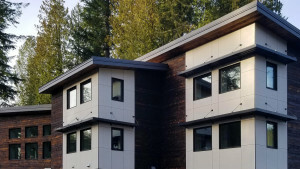 Our company provides high performance window systems designed to adhere to passive house standards and it has been a pleasure to work with Sam Rodell and his team in creating rigorously energy efficient and beautiful building envelopes. I absolutely loved our time in design mode with Sam Rodell, and the resulting product is a true marriage of site and structure. 25 years later, and I wouldn't change one thing. He is a true master. Sam intuitively understood and honored this land that I love from the first day he set foot on it. He patiently guided the process with a gentle, reverent sensitivity that allowed an evolution of design work and the natural setting to work in tandem. The finished results that I enjoy immensely on a daily basis are binding and timeless. Sam made this possible and I will be forever grateful. 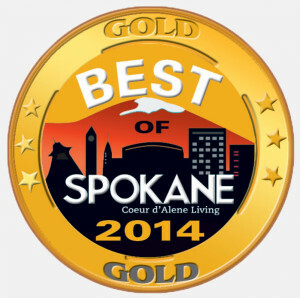 I am a contractor in Spokane, Washington and have worked with Sam Rodell on several occasions. Sam genuinely cares about his Customers, his Projects and his Contractors, and is always striving to bring us all together to form a cohesive quality orientated team. Sam is the best in the business. He is a brilliant mind with unmatched talent, and also has a big heart and social conscience. He is a rare breed. My experience with him has been nothing but positive. 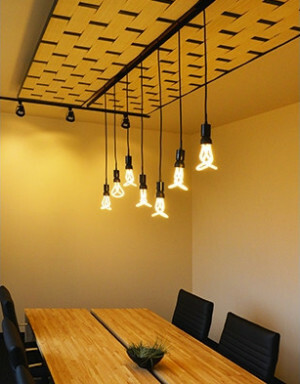 Rodell Architecture has many innovative design ideas (materials, structure technology, etc. ); very much an "out of the box" approach to structure and style. 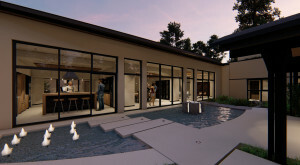 Whether you are in the market for a residential or commercial architect, Sam and his team will surpass your expectations. 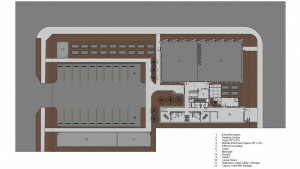 Being a novice to the commercial building process, and having very specific needs, I was overwhelmed with where to start. There is a lot information on the internet, and I spoke with several different companies, but Sam was the only one who sat down with me and thoroughly, respectfully, and patiently went through the process and options with me. I learned many things during the design phase and am very pleased with the high efficiency design and optimal usage of the land and natural resources. I am grateful to Sam for helping me through a daunting process. He truly deserves the professional recognition he has earned. Sam is a true thought leader. His design is rooted in a deep sense of place. He has an affinity towards radical materials and energy efficiency, yet never loses sight of the purpose of the project. Select Sam if you want a dwelling that not only works, but keeps working though the passage of time. In my professional life I teach graduate courses in project management. As a result I have a fair amount of expertise in planning and decision-making models. 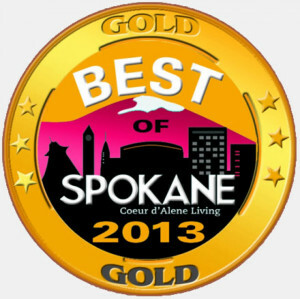 I approached the decision to move to Spokane and build my dream home on 40 acres we had purchased a decade before with the same methodical planning I apply in my business activities and teaching role. 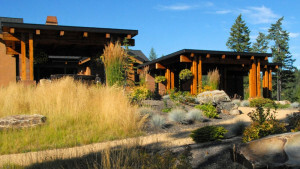 When we moved to Spokane one of the first things we did was to start the process of selecting an architect to design our home. I collected the names of five top architectural firms via Internet search, Better Business Bureau review, word-of-mouth, etc. I had researched and compiled a list of formal questions to ask each candidate, and I arranged to photograph and tape record each candidate as a part of the process. I learned long ago dealing with interviews - it gets hard to keep all the players straight in your head. I invited each candidate to the property, explained my process and asked my questions. This was the first time I met Sam Rodell. Sam impressed me from that first meeting. While I got various sales pitches from the other four firms, from Sam I got careful and thoughtful answers directly on point to the questions I posed. He is naturally self-effacing, calm, and very deliberate in his speech. However what he loses in the sure volume of his commentary he makes up in the clarity and directness of his communication. My wife and I carefully reviewed all the data we had collected from our interviews but I knew before I started the data review what our decision would be. The next up was the contract. We had essentially two models to choose from. One was to spec everything out essentially to the last nail and then bid that out to contractors. 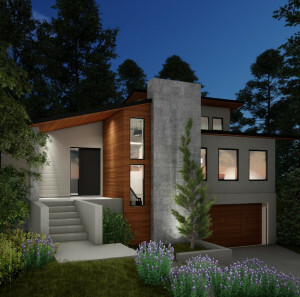 The other approach was to construct the conceptual drawings and architectural plans and then negotiate with our selected contractor on the particulars as we move through the build process. Sam was conspicuously neutral in that decision even though it had economic consequences to him. In fact in all such decision points in our interaction with Sam he maintained that same posture. He would inform us of the options and likely consequences and then let us decide. In the instant case, we decided on the second model and made the detailed decisions in consultation with Sam as we moved through the build process. As we moved through the design process I was constantly surprised and thankful for Sam's consistent, patient, and insightful support through the myriad of decisions that lie between the blank page and a completed design. As a recent secretary of defense made famous… There are known knowns, there are known unknowns, and there are unknown unknowns. Sam helped us articulate and document our known knowns as to the kind of home we wanted. He helped us with the known unknowns -the parts of the design we had either not considered or the consequences of we did not understand. Here his patient, low keyed demeanor was of great assistance through a seemingly endless list of decisions. As to the unknown unknowns, we fought them as we found them as a team. The result was so much more than we had hoped. The thing I remember the most about the design experience with Sam Rodell was how amorphous, vaguely sketched ideas on our part would be rendered into several potential and elegant solutions by Sam. In the end when I look at my home I can't tell what idea came from me or my wife or from Sam. It doesn't matter of course, we just love the results. We found Sam to be honest and ethical in every aspect of our work together. Sam took a lot of time and effort working diligently to understand what it is we really wanted in a home. 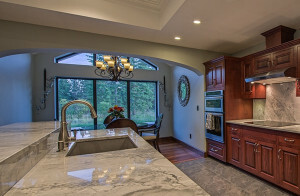 Such questions as "what does quality mean to you" were taken up with all seriousness in order to find the subtle differences that makes a custom home custom. We recommend Sam to anyone who wants a thoughtful, intelligent, honest partner in the design of a unique and personalized dwelling. Sam designed our dream house for us. 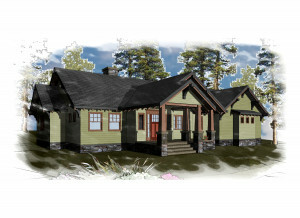 He took our ideas and turned them into a house we could both be happy with, and build! He was a joy to work with and is extremely patient, thoughtful, brilliant, and creative. I would recommend him to anyone looking for an architect! I just completed my second project with Sam. 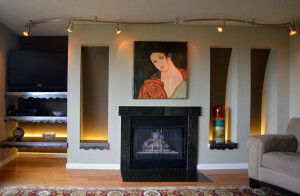 The first was a residence; this one, a remodel in my living room. On both projects Sam was thorough, professional, meticulous, creative, and just plain fun to work with. It had been some time since I first had the pleasure of working with Sam and I was SO pleased to remember how wonderful an experience he can make of an architectural project. 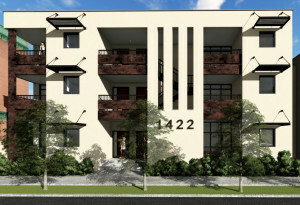 We're beginning work on what will be my third project - a much more extensive remodel of my condo and I can hardly wait. I've worked with other design professionals, architects, and contractors over the years, but have never met anyone who does any portion of this work better than Sam. When I first met Sam, I was immediately impressed with the expertise and passion he has for his work. His ability to not only explain the various elements of architecture, but listen to the needs and ideas of the client is a balancing act that few possess. Sam's thoughtful designs are unique in that they reflect the natural environment in which they are built. The structures seem to melt into their surroundings while still maintaining their own aesthetic beauty and functionality. 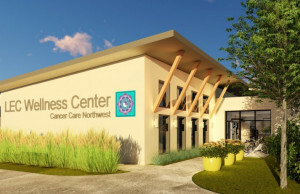 Sam Rodell cares, and they design the most energy efficient buildings in the area. Keep leading us into the next century!